Industrial applications including machining operations that engrave, turn burrs, mill, grind or drill produce unwanted pieces of the material called burrs. Deburring is the process to remove these pieces of material, so the procedures needed to complete the industrial application may continue. Deburring robots are adept at effectively remove burrs and can even sharpen edges and slice off any leftover metal parts. 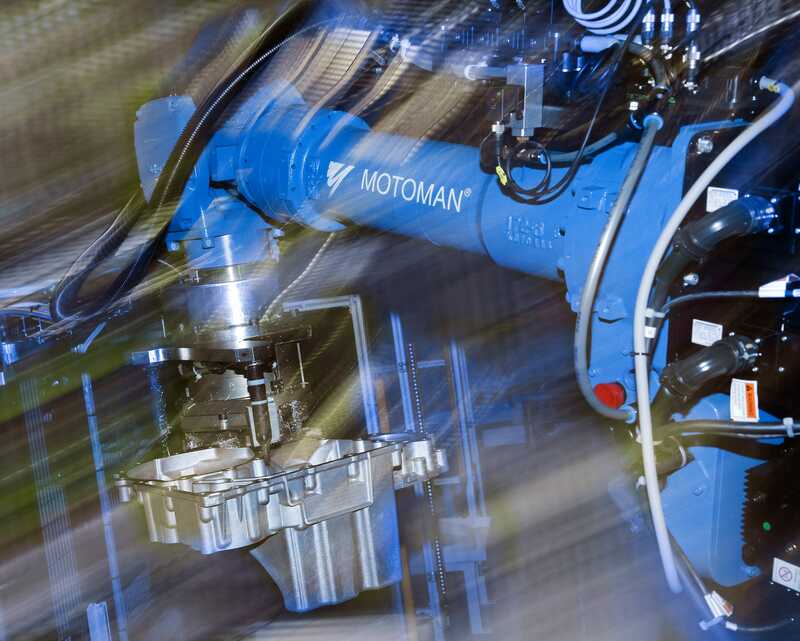 When precision requirements for industrial applications are integral, these robots proficiently grind or file down parts. These types of industrial robots also possess extraordinary longevity and operate at longer hours that would normally cause fatigue among human counterparts. ICR supports these powerful robots with repair refurbishment services and robotic cell development, and ICR’s deburring robotic cells are highly efficient and effective at the overall deburring process. Services offered by ICR include design, development, and implementation within your facility. We have access to a wide selection of used and refurbished robots to populate chosen cells. Our partnership with Yaskawa and Nachi allow us to offer new robots to oufit your deburring robotic cells as well.